I got the opportunity to try their duffel bag, accessory pouch and a couple of wallets. 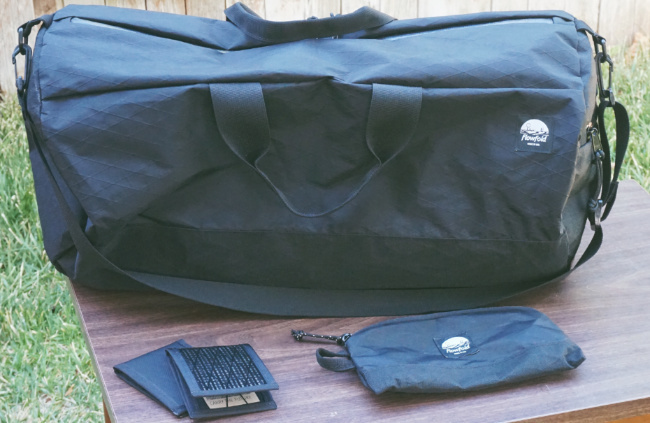 The Conductor 40L Duffel Bag ($98) is perfect. A duffel should be large and useful, and other than is huge interior, this one has a useful side pocket, plus the expected handles and shoulder strap. It also has a fancy zipper (see above) that helps it resist water and snags. This is a great, sturdy camping bag that you can just rinse off when you’re back from the wilderness. 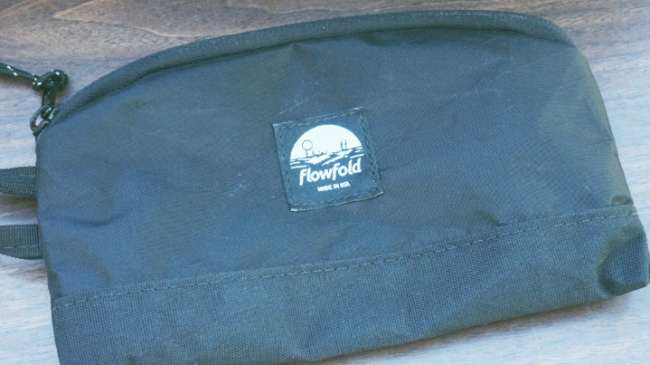 Flowfold’s Ace Accessory Pouch ($30) is one of those bags I didn’t know I needed until I got it. measuring 9″x5″, this slips easily into your larger day bags, but helps you keep your everyday carry items well-sorted, like chargers, pens, headphones or cash. I’ve found it a great bag for cigars, lighters and cutters, too. It has a loop on the side for easy carry if all you need for you day is the pouch, too. Along with other packs and gear, Foldfold’s also got about a dozen wallets in many shapes and configurations. I’m trying out their Vanguard ($29) in Black Pearl (pictured above left and below) and the limited Jet Black (pictured above right). 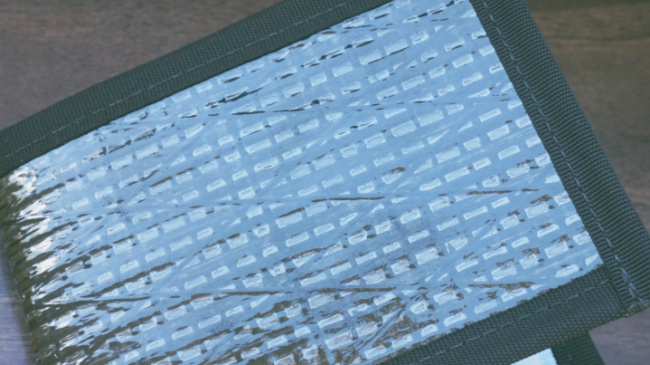 These have layers of “ballistic nylon webbing” – in fact, the Black Pearl is made of it inside and out – that lead to a lightweight, thin, but very durable finish. 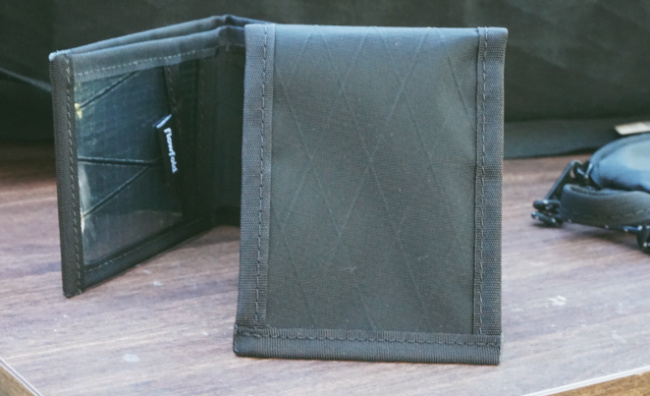 These are long-life wallets with a touch of waterproofing, too. I’m a fan of back-pocket wallets, but like mine to be extremely thin, so these sturdy wallets have become part of my usual rotation. Whether a larger outdoor bag or a useful city-dweller application, I’ve now got a few more bags for that perfect application, plus some handy, thin, back-pocket wallets as well. This entry was posted by admin in edc, reviews and tagged accessory bag, duffel bag, edc bag, flowfold, flowfold bags, flowfold wallets, quality duffel bag on July 21, 2017 .